Our Tire Pressure Monitor Sensor (TPMS) enables you to monitor your motorcycle’s tire pressure easily and conveniently, as you ride. The system works with up to 4 tires in any configuration (not intended for automotive use). 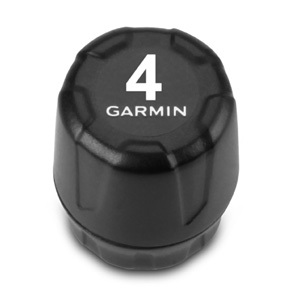 One TPMS sensor is required for each tire (sold separately; metal valve stems only). Fasten 1 TPMS sensor to each metal tire valve stem, then pair TPMS with your compatible zūmo® device. 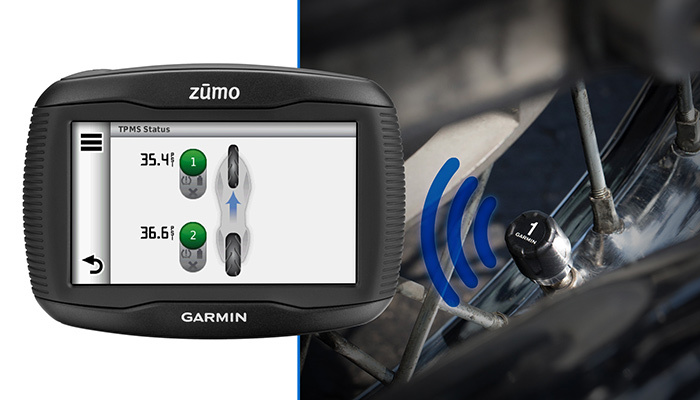 TPMS uses ANT technology to deliver pressure data wirelessly to your compatible zūmo. View the real-time data right on your zūmo display. TPMS lets you set custom pressure thresholds. If tire pressure changes, TPMS issues an alert. TPMS also enables you to monitor tire pressure trends over time. 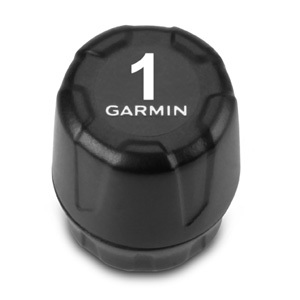 With TPMS, it’s possible to detect a slow leak before it becomes a bigger problem. 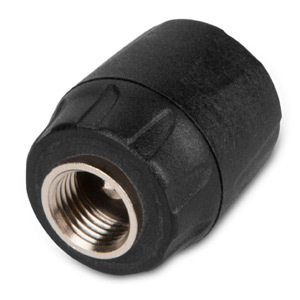 TPMS is the smallest motorcycle tire pressure sensor on the market. 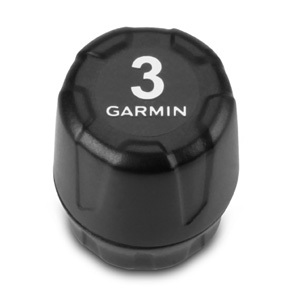 Each TPMS sensor is powered by a single, replaceable battery that may last up to 18 months, depending on individual use. To preserve battery life, TPMS rests in low-power mode, then “wakes up” when movement is detected.